Shoei announces IT-HT smart helmet at CES 2019 with head-up display. Helmet manufacturer Shoei has announced a new smart helmet at the Consumer Electronics Show 2019, and this smart helmet boasts of Bluetooth connectivity as well as head-up display (HUD). 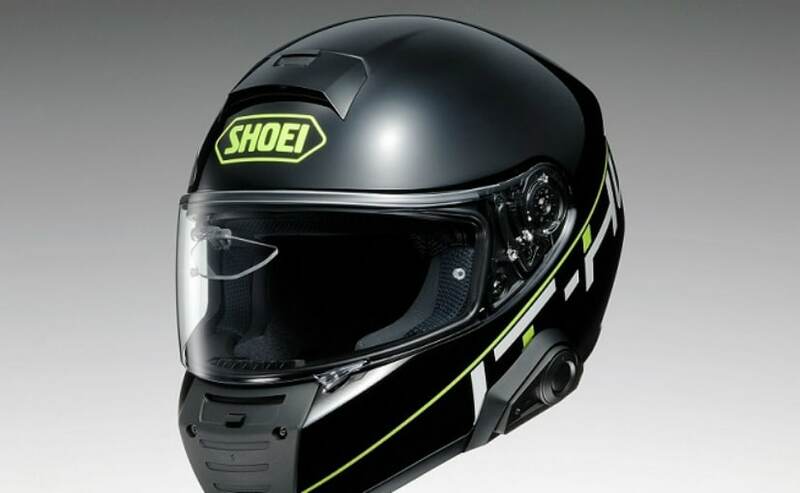 The IT-HT as it's called, is the collaboration between Shoei and Japanese electronics manufacturer NS West. Although still in concept form, the IT-HT introduces the concept of heads-up display for the first time in a helmet from Shoei. The HUD shows information like speed and route information, and with this technology, the rider doesn't have to move his or her eyes away from the road while riding. The helmet itself will likely just be the screen, on the visor, and users will probably need a Bluetooth enabled smartphone to provide other data, and the possibilities include turn by turn satellite navigation, text messages and even incoming call information. So far, there aren't too many details of what the IT-HT will actually end up providing, apart from the heads-up display, so we aren't sure how much the helmet will cost, what exact features it will sport, and when will it be available commercially. It's still a concept, but by the looks of it, Shoei is serious about launching a HUD helmet commercially, possibly even by the time this year is over. Helmets with head-up displays aren't new though. There have been several companies which have been dabbling in smart helmets like Skully, and NUVIZ, but no mainstream helmet manufacturer has announced anything like this before. With a reputed brand as Shoei jumping into the smart helmet category, it's heartening to know that it will make it to production sooner than later. The only thing which will probably be a dampener will be the hefty price tag the IT-HT is expected to command. More will only be known once a production-ready helmet is announced.